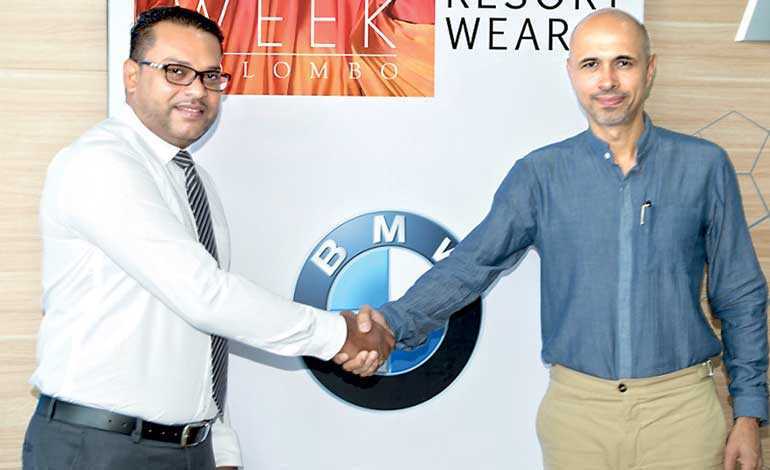 BMW recognised as the world’s most sustainable company in the automotive industry by Dow Jones Sustainability Index since 2005, recently partnered with the Luxury Resortwear Edition of Swim Week Colombo to endorse Swim Week’s vision to create a unique identity for Sri Lanka, by taking its sustainable fashion movement to the international stage. Prestige Automobile the authorised dealer for BMW in Sri Lanka partnered as the Official Automobile Partner. “Sustainability characterises the thoughts and actions of the BMW Group; it is an attitude that doesn’t have a beginning or an end. Our affiliation with Swim Week Colombo allows us to further endorse our commitment to sustainability by establishing this fluid attitude as a partner organisation. We are humbled to be one of the enablers in taking Sri Lankan fashion to the world by fuelling the sustainable fashion movement,” Prestige Automobile Ltd. Director Sales and Marketing Niranga Peiris noted. Topping the Dow Jones Sustainability Index every year since 2005, BMW is recognised as the world’s sustainable company in the automotive industry. By developing plug-in hybrids and full electric vehicles such as the BMW i cars not only has BMW built emission-free cars, but also used the maximum possible amount of sustainably produced and recycled materials – especially inside. The innovative LifeDrive vehicle architecture reduces the weight enormously and extends the car’s range with the inclusion of its carbon fibre passenger cell and aluminium drive module. BMW i uses a wealth of innovative BMW EfficientDynamics technologies and goes even further: From design to production, from the useful life of the vehicle to its disposal, every detail is based on sustainability.